and how to use the formula for density to calculate density. This section also looks at density from the point of view of a particle model of matter. In everyday language, dense objects are described as 'heavy' and less dense objects as 'light', but this is not a correct scientific description of the object or the nature of the material. Density is also mentioned in Pressure & upthrust in liquids, density and why do objects float or sink? What is density? and what is the formula for density? Density is a measure of how compact a material is - it indicates how much space or volume a given mass occupies. The greater the mass of material in a given volume, the greater the density of the material. The density of a material depends on what it is made up of (atoms and their arrangement) and its physical state. The more spread out the particles, the lower the material's density - which is why gases have a very low density. The more closely the particles are packed together, the greater the density - which is why solids have the highest density. The density for a given material is the same whatever its shape or size for a given physical state. Density units in physics are usually kg/m3. Its advisable to be able to convert mass and volume units e.g. e.g. if the density of an object is less than that of water (~1000 kg/m3) it floats. If the density of an object is more than that of water it sinks! In general: if the object has a density < fluid it floats and if density of object is > fluid it sinks. However, although shape doesn't affect density, shape does, otherwise, how can a steel ship float on water!? All the apparatus needed for the different methods for measuring density is described below and illustrated in one big diagram via parts (1a), (1b), (2a) and (2b). By some means you need to know a specific mass and volume of a material to calculate its density. You need to relate the methods described to the picture diagram, which I've repeated a few times. Any lump of a solid material can be accurately weighed on an electronic balance (2b) (usually grams, g). Don't forget to tare the mass balance to zero before placing the object on it. 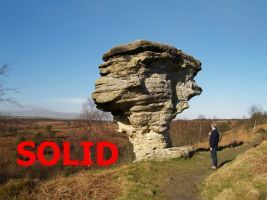 If the solid is a lump with an irregular shape (and insoluble in water!) you can use a Eureka can (displacement can) to measure its volume. The eureka can (1a) is filled with water above the spout and any excess drains off into the measuring cylinder so that the water level is just under the spout. Then empty the collection measuring cylinder and place it under the spout again. You then carefully lower the object, attached to a very fine thread, into the water. As the object enters the water, the water level rises and a volume of water equal to the volume of the object is displaced from the eureka can down the spout and measured on collection in the measuring cylinder (1b). Only measure the volume when the spout has stopped dripping, otherwise you won't measure the correct volume! You cannot use this method if the object has a density <1.0 g/cm3 (1000 kg/m3), because it floats on water and only partially displaces the water. Repeat several times and calculate the average volume measured. Again the block of material is weighed on the electronic balance (2b). If the material is a perfectly shaped cube or rectangular block (solid cuboid), you can then accurately measure the length, breadth and height and calculate the volume: V = l x b x h.
If it is a regular solid shaped cylinder you need to work out the surface area of the end and multiply this by the length or height of the cylinder. Area of a circle = πr2, where π = pi = 3.142 and r = radius of the cylinder. A stone weighing 27.2 g displaced 8.5 cm3 of water (8.5 ml), calculate its density. However, you may have to calculate the density in kg/m3 and this is arithmetically a bit more awkward! It might be handy to know that kg/m3 is 1000 x g/cm3 !!! 3.2 x 1000 = 3200 !!! A block of iron had dimensions of 3.0 cm x 5.0 cm x 12.0 cm and weighed 1.420 kg, calculate the density of iron. Q3 A regular solid cylinder of an alloy has a diameter of 3.0 cm, a length of 12.0 cm and a mass of 750 g.
Q4 A cube of material has a side length of 2.5 cm. If the material has a density of 5000 kg/m3, what is the mass of the cube in g and kg? To measure the density of liquid you need to weighed an accurately measured volume of the liquid. If you are only using 10 ml of liquid, you should use a 10 ml measuring cylinder , a 50 ml measuring cylinder would not be accurate enough. A clean empty measuring cylinder is weighed on the electronic balance (m1). Make sure the bottom of the liquid's meniscus rests exactly on the 50 cm3 mark. The measuring cylinder and liquid are then reweighed (m2). This is not a very accurate method, the measuring cylinder is not calibrated to a high standard. Weigh a suitable container, eg a conical flask or beaker, on the electronic balance (m1). Carefully measure into the container an accurately known volume v of the liquid under investigation. You can use a burette (for any volume from 10 to 50 cm3) or a 25 ml (25 cm3) pipette. In either case make sure the bottom of the liquid's meniscus rests exactly on the calibration mark for selected volume. This is a more accurate method than (ii), a pipette or burette are calibrated to a higher standard than a measuring cylinder. The liquid must not be too viscous (too sticky to run freely). A density bottle is a glass chamber with a ground neck entrance. Into the neck goes a precisely fitting stopper with a capillary tube running down its central axis - see diagrams above. Its volume can be as little as 10-20 cm3 (10 ml). You need to do the experiment at a constant temperature because liquids expand/contract if heated/cooled i.e. density is temperature dependent. (3a) The density bottle and stopper must be completely empty and dried in an oven before use - obviously must be allowed to cool down to room temperature at ~25oC. (3b) The density bottle is then completely filled with pure water and the stopper pushed down to expel any excess water. With a tissue of filter paper, any excess fluid on the top of the stopper should be carefully removed. You should also make sure there is no spilt liquid on the outside of the bottle, if so, this should be carefully wiped off too. In other words, all the exterior of the density bottle and stopper must be dry. Also make sure you don't absorb any liquid from the capillary tube of the stopper. (3c) The filled density bottle of water is then reweighed on the mass balance (m2). (3d) The steps from 3a to 3c are then repeated and the final mass of the bottle/stopper filled is measured (m3). You can get the accurate density of pure water from a data table on the internet e.g. However, as you can see, by assuming the density of water is 1.00 g/cm3 (1000 kg/m3), at 20oC you only introduce a 0.2% error. for a school/college laboratory, that's a pretty good accuracy for doing any real experiment. Assuming constant temperature and therefore constant volume, the calculation is as follows. We can now calculate the density of liquid X. Not ensuring there is no excess liquid on the outside of the density bottle or on the top of the stopper. Not ensuring the bottle is completely dry and empty before use. Not ensuring all measurements are done at the same recorded temperature. Again, this again is much more accurate method than (ii) and more probably more accurate than (iii) too, because you are calibrating the density bottle to a high standard. To calculate the density of liquid is no different from the calculations for a solid so I don't feel the need to add any more density calculations. The density of a material depends on the nature of the material eg air, water, wood or iron AND the physical state of the material, which is how the particles are arranged. In a closed system, when a substance changes state, it is a physical change (NOT chemical), there is no change in mass (same number of particles), but there is a change in particle arrangement which leads to a change in density. We can use the particle model of matter to partly explain the differences in density between different materials, and in particular the difference in density between gaseous, liquid and solid state of specific substance. When explaining different density values, you must consider both the kinetic energy of the particles and the arrangement of the particles. 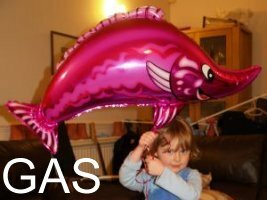 GASES: The particles have more kinetic energy than in liquids or solids and can move around at random quite freely. This enables the particles to spread out and fill all the available space giving a material a very low density compared to liquids and solids. With very weak forces of attraction between the particles there is no constraint on their movement - they can't club together to form a liquid or solid. In a substance like air, the particles are very widely spread out in the atmosphere giving air a very low density. Density of air in the atmosphere is 1.2 kg/m3. Density of steam = 0.6 kg/m3. Carbon dioxide sinks in air because it is 'heavier', it has a higher density than air, density = 1.9 kg/m3 (air is 1.2). If you compress a gas, you force the molecules closer together, same mass in smaller volume, so the density increases. If you heat a gas and it can expand, the particles are further apart and the density will decrease. 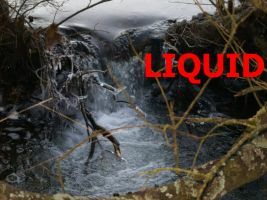 LIQUIDS: In liquids, the particles are close together, usually giving high densities a bit less than the solid, but much greater than the density of gases. The forces between liquid particles are greater than those between gaseous particles and are strong enough, so they are attracted close together leaving little free space. However, liquid particles still have enough kinetic energy to move around at random and create a little space and on average are spaced out just that little bit more than in solids, hence their slightly lower density than the solid. Water has a density of 1000 kg/m3, more than 1600 times more dense than steam! Density of liquid air is 974 kg/m3, see this sharply contrasts with gaseous air, which is over 800 times less dense at 1.2 kg/m3! Hydrocarbon petroleum oil, typically has a density of 820 kg/m3, less dense than water, so it floats on it! Mercury atoms have a much greater atomic mass than hydrogen, oxygen or carbon so liquid mercury has a density of 13 584 kg/m3, that is more than 13 times more dense than water! If you heat a liquid, increasing its temperature, the particles gain kinetic energy and the collisions become more frequent and energetic and this enables the particles on average to spread out a bit more, increasing the liquid volume and lowering the density. This effect is used in liquid thermometers e.g. those containing a capillary tube of mercury or coloured alcohol. The thermal expansion is proportional to temperature so you can fit a calibrated linear scale next to the capillary tube. SOLIDS: The strongest interparticle forces of attraction occur in solids where particles are attracted and compacted as much as is possible. The particles can only vibrate around fixed positions in the structure and do not have sufficient kinetic energy to break free and move around creating a little space like in liquids. The result is the highest density for the state of a specific material. Although liquid densities for a specific material are just a bit less than those of the solid, both the solid and liquid states have much greater densities than the gaseous or vapour state. Generally speaking the solid state exhibits the highest density. In a very dense material like iron, the particles (iron atoms) are not only heavy, but very close together giving the high density of 7870 kg/m3. Because of the particular crystal structure of ice (ρ = 931 kg/m3), solid water is less dense than liquid water (ρ = 1000 kg/m3), so ice floats on water! Very unusual! In the solid the water molecules form a very open crystal structure in which the water molecules are actually slightly further apart on average compared to their compactness in liquid water. When dealing with insulating materials, beware!, their densities are much lower than the 'bulk' solid because very low density gases like air or carbon dioxide are trapped in them, considerably lowering the overall density of the original solid material. If you heat a solid, increasing its temperature, the particles gain kinetic energy and the vibrations become more energetic and this enables the particles on average to spread out a bit more ('pushing' each other apart), increasing the solid volume and lowering the density. OCR A gcse 9-1 physics P1.1d Be able to define density. From measurements of length, volume and mass be able to calculate density. See also the investigation of Archimedes’ Principal using eureka cans. density (kg/m3) = mass (kg) / volume (m3) d = m/v P1.1e Be able to explain the differences in density between the different states of matter in terms of the arrangements of the atoms and molecules. P1.1f Be able to apply the relationship between density, mass and volume to changes where mass is conserved. You should be familiar with the structure of matter and the similarities and differences between solids, liquids and gases. You should have a simple idea of the particle model and be able to use it to model changes in particle behaviour during changes of state. You should be aware of the effect of temperature in the motion and spacing of particles and an understanding that energy can be stored internally by materials. P1.2a Be able to describe how mass is conserved when substances melt, freeze, evaporate, condense or sublimate. Use of a data logger to record change in state and mass at different temperatures. Demonstration of distillation to show that mass is conserved during evaporation and condensation. P1.2b Be able to describe that these physical changes differ from chemical changes because the material recovers its original properties if the change is reversed.